Here at TOP, we love to curate, custom-blend and hand-pick the best wellness essentials. If it’s too good that we just can’t keep it to ourselves, we shout out and share the goodness! Two best-loved, easy to use and promise it “really works” are nutrition through skin, Ancient Mineral Magnesium Oil and the world’s first patented cellular or epigenetic superfood Reliv Now with LunaRich. No wonder why the American Anti-Cancer Institute AACI included these in their Top Ten List of Recommended Natural Products. -Dr Sircus a leading magnesium researcher and author of Transdermal Magnesium Therapy. 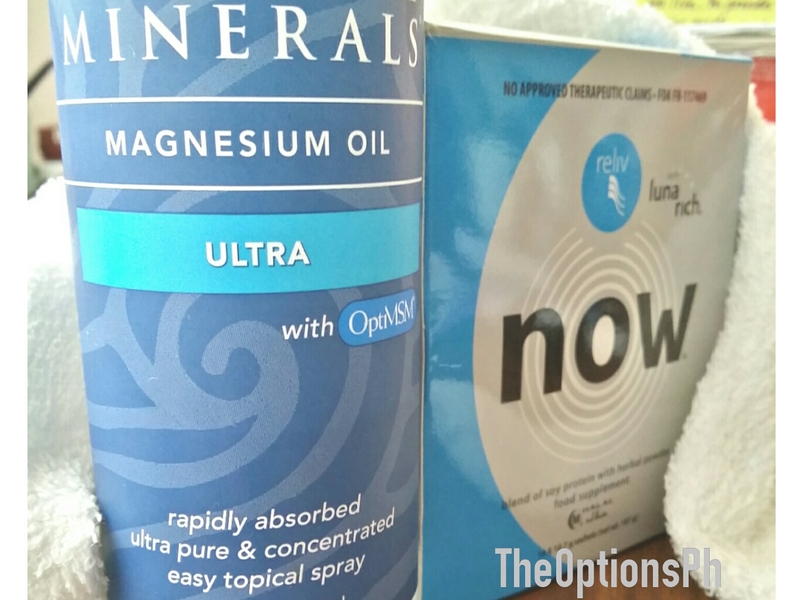 How can you benefit by using magnesium oil? Here’s just three, but there’s more. Reduces (and should eventually stop) muscle cramping, including menstrual cramps. Improves sleep, because magnesium is a “calming” and “soothing” mineral. Reliv Now with LunaRich goes beyond a standard multivitamin pill, giving you more of everything your body needs. Each serving contains over 76 of the world’s best ingredients in targeted, properly balanced, easy-to-use formulation specifically designed to enhance wellness, increase performance and energy! Optimum, Complete, Bioavailable! Giving the body instant access to nutrients. Why Reliv added Lunasin (LunaRich)? Lunasin (LunaRich) isn’t just any ingredient; it’s the world’s first epigenetic superfood. Lunasin is one of the first nutritional compounds identified to affect gene expression and promote optimal health at cellular level, yes right inside the cells! Today, more than 80+ scientifically published research from more than 25 research institutions demonstrate lunasin’s multiple health benefits. Now, why feel better if you can feel great? Where to get Reliv Now with LunaRich and Transdermal Magnesium Oil in the Philippines?